AutoPlus Express Software V10.1 Call 239-466-7641 to order today! 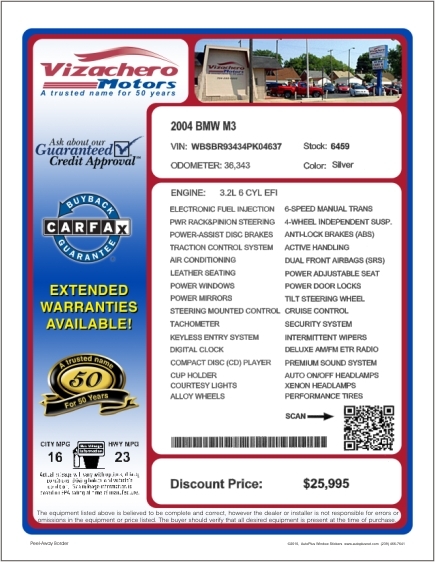 - Full VIN decoding on your PC for make, model, year, engine, equipment options and EPA mileage values. - Free Tech Support Line - NO TIME LIMIT! Buyers Guides are not included in this special offer. One offer per customer. Limited Time Offer. NO MONTHLY SOFTWARE FEES, NO VIN DECODING FEES! Our Enterprise Version allows you to service an unlimited number of dealerships. The Dealership Version is used for a single location. Multiple copies of of each are available at half price! Serve an unlimited number of dealerships. The Enterprise Version may have an annual Enterprise fee starting the SECOND year after activation. 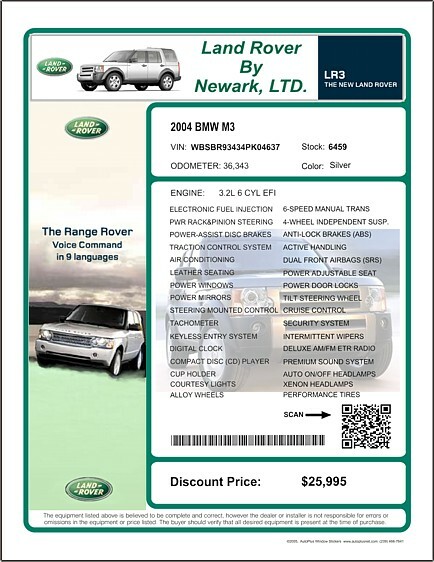 The fee is computed on a sliding scale based on the number of dealerships served. Most Enterprise customers pay only $99 or less starting their second year. This annual fee includes our unlimited support, product updates and VIN database updates. IF YOU NOT LONGER NEED THESE SERVICES, THERE IS NO ANNUAL ENTERPRISE FEE. The Dealership in-house version has no fees. Copyright 2019 Tanner Communications. All rights reserved.